On Monday and Tuesday this week, the #DiDIY team – that is, the assembled members of the EU-funded Digital DIY project – sat round a big table (mostly) at Politecnico di Milano and discussed the numerous dimensions of our research tasks and activities. 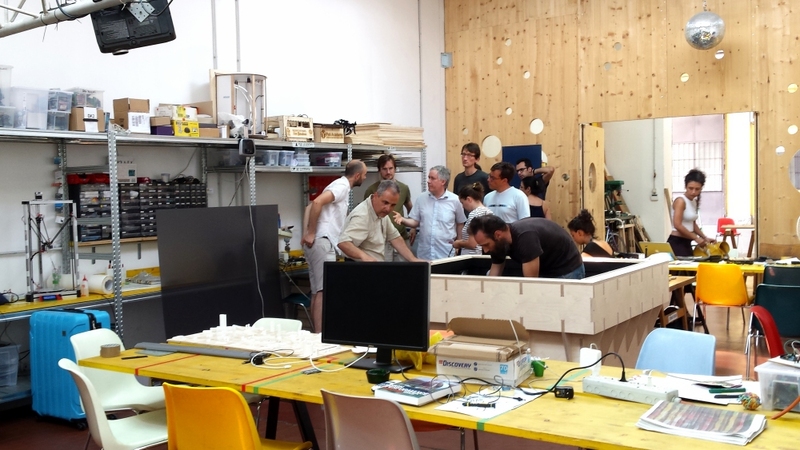 But by Wednesday, we decided that was all quite enough, and instead went visiting makerspaces in Milan. This was a very good move. 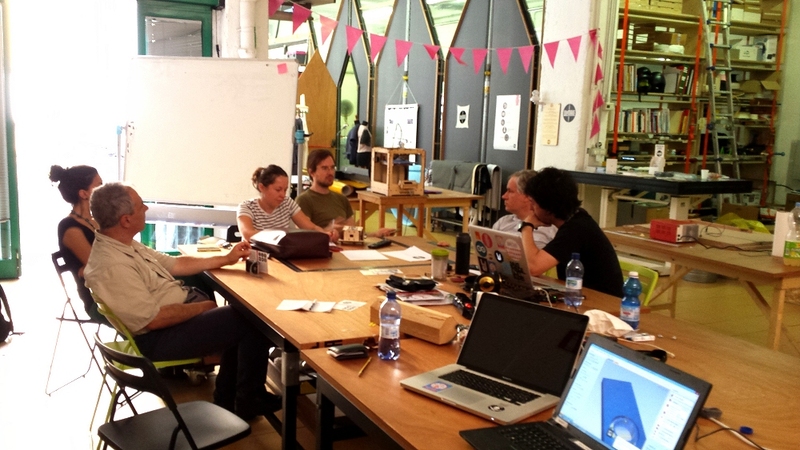 We were given a warm and informative welcome at two different places, WeMake and OpenDot. These are both, I guess, FabLabs, but as always I place my lifelong rejection of jargon above, well, jargon, so I am calling them makerspaces, which seems clearer to me, and places less emphasis on technology. 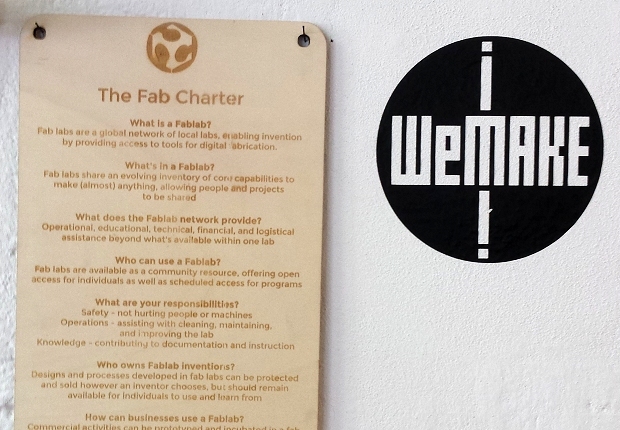 (That is, if setting up a FabLab means buying or acquiring a particular bunch of equipment – which does seem to be quite a major part of what it means – although having a FabLab involves the adoption of a particular ethos, of openness and sharing, as well). At WeMake, we were welcomed by Costantino Buongiorno, who co-founded the place with Zoe Romano. (In fact I had happily met both of them before at Maker Faire Rome in 2013). It was delightful and inspiring. It was clearly important for WeMake to act as a platform for creativity – in one analogy Costantino said they are a bit like music producers, creating the environment, conditions and support for people to make the things that they want to make. He also said that WeMake is like a ‘gym’ for makers – with access to machines and people who can help you – but of course rather than building muscles it’s about building things. 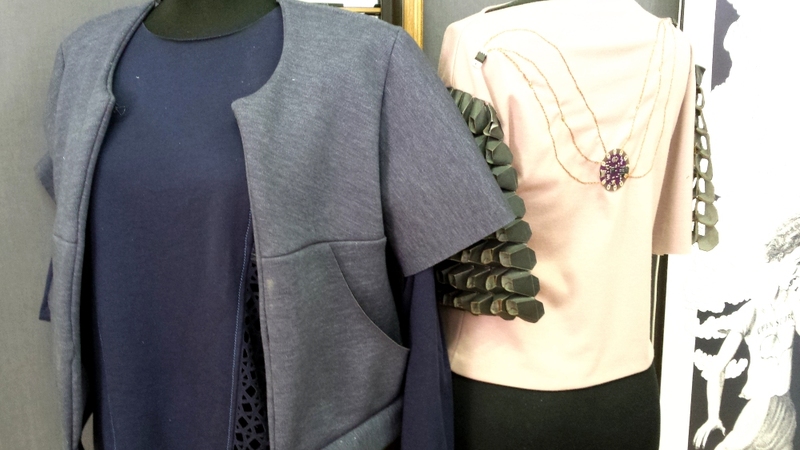 As well as the typical array of computer-controlled cutting, grinding and 3D printing machines, WeMake has a fashion and textiles dimension, experimenting with laser-cutting of fabrics, and with electronic wearables. At OpenDot, in a quite different part of Milan, we were met by Enrico Bassi, who was also helpful and generous with his time. OpenDot has a close relationship with its sister company, DotDotDot, which is a more conventional design agency in the other half of the same space. 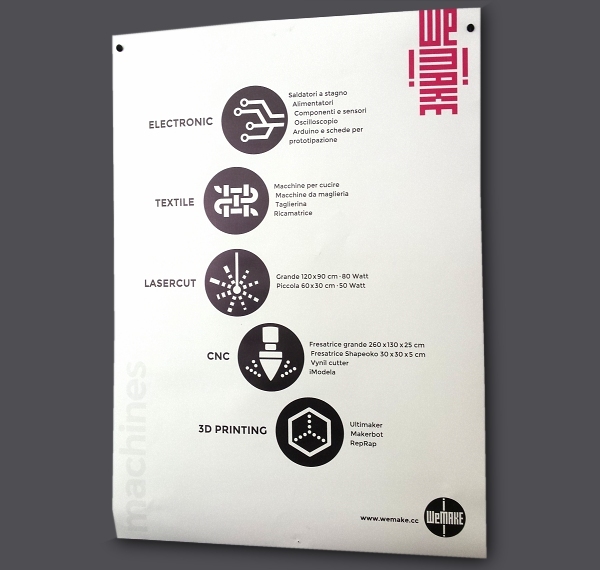 Like WeMake, they offer space and the use of tools and machines so that people can come and make things. Enrico explained that they want everyone to experience making and DIY – not just self-identified members of the ‘maker movement’. OpenDot collaborate with some companies, such as IKEA. Part of their mission is to get big producers to think about how their products could be fruitfully modified or hacked by users – and to adopt procedures and standards that would make this easier for people. So for instance they are trying to persuade IKEA to highlight to customers ways in which their products can be repurposed for customised or alternative uses. OpenDot emphasise experimentation and support people to be adventurous in their enterprises. Both makerspaces give people the chance to learn, about machines and design and techniques, and reward those who share their learning with others, either directly or by creating online documentation. (The rewards are often in-kind credits for time or materials or events – OpenDot even has its own microcurrency of ‘dots’). At WeMake, Costantino noted that getting people to document their projects was a whole extra layer and was “really hard work”, although he felt it was really important that people document their process in a step-by-step kind of guide (like Wevolver or Instructables) or any kind of journal. Both Costantino and Enrico also mentioned, unprompted, a concern with gender equality and being welcoming to girls and women (in response to the sadly rather male-dominated image of the maker movement). Although we happened to be mainly speaking with two men at the particular time of these visits, both places are co-founded, co-owned and/or co-run by women, and women and men work in the spaces and take part in workshops. Costantino at WeMake told us that explaining what they do to people is really hard – people expect them to be one single thing, but they want to be many things at once, offering making space and support, as well as education, as well as research and consultancy, helping to build other businesses, and trying to change cultural mindsets about making and remaking and repairing, as well. Enrico at OpenDot also emphasised that ‘many ingredients’ make up what they offer, making it difficult to explain its richness simply. The important mix is not just about different activities and tools, but includes an ethos and a passion as well. So our Wednesday-morning trip to WeMake and OpenDot was really fantastic. Although we may be makers, in some range of ways, ourselves, it is important for our project to connect with these grassroots organisations which are trying to both support people and to bring about a wider cultural change around consumption, making, repairing, and everyday creativity. This blog post was first published on the website of the project, didiy.eu.